Nestled along the shores of Ohio's magnificent Lake Erie, Geneva-on-the-Lake is a relatively small village in Ashtabula County. With a population of roughly 1,500 people, Geneva-on-the-Lake could actually be considered more of a lakeside resort than a village, as this quaint little area has been welcoming visitors to its fun-filled borders since 1869. Home to several stunning outdoor activities, exciting indoor activities, and all kinds of events in between, there are plenty of reasons to visit Geneva-on-the-Lake. After all, it’s only about an hour’s drive east of Cleveland. A sterling gem on the northeastern shoreline of Lake Erie, Geneva State Park perfectly encapsulates the character and charm of Ohio. No matter what time of the year, the shimmering lake attracts visitors from near and far, beguiling and enticing them with all the natural beauty that the area has to offer. Go for a dip in the lake, sunbathe on the shoreline, explore the freshwater marshes, or cruise through the waters on the back of a jet ski. Hiking is another great draw all year round, with the park turning into a gorgeous winter wonderland as soon as December rolls around. Home to the Ashtabula County Historical Society, the Jennie Munger Gregory Museum was originally a farmhouse built in 1823 on the shores of Lake Erie. Today, the museum is the oldest frame structure in Geneva-on-the-Lake’s famous strip and houses special exhibits organized by the historical society. Though the museum is quite small, it’s filled with small treasures and great moments in the village’s history from its formation in 1816. Learn about the township’s first settlers and what drew others to permanently settle in this county. The museum is open to visitors for a small donation during Geneva-on-the-Lake’s tourist season. Special trips can also be organized for school children. Traveling with the kids and eager to get your money’s worth? There’s no better place to get tons of action-packed fun with the family than Adventure Zone. One of the region’s best in terms of family entertainment, Adventure Zone has a giant arcade in addition to several adrenaline-pumping attractions like the Screaming Eagle Go Carts, the Super-Squirter Bumper Boats, and the Bungee Tramp. Kids and adults alike can also enjoy features like the batting cages as well as the climbing and rappelling walls. For the younger kids, the merry-go-round and the A-Mazing Kid’s Krawl are the perfect ways to pass the time. Established in 1924, Allison’s Mini Golf is special in more than just the way it provides tons of family fun. It’s actually the oldest miniature golf course in the entire United States in continuous operation, making it a treat for history buffs in addition to mini golf fanatics. When you’re done playing as many rounds of mini golf as you want, make sure to stop by the Krazy K Shirts shop to pick up a souvenir. Afterwards, stop by Grumpy’s Lemonade to enjoy a sweet and refreshing drink from this popular lemonade shop before hopping on over to the snack bar for a delicious and satisfying hot dog. Whether you’re heading over with friends, your family, or all on your lonesome, you’re bound to have a great time. 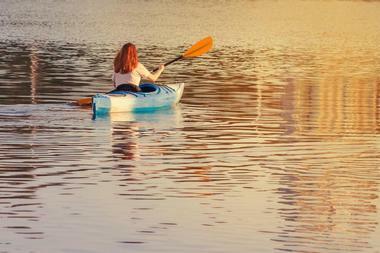 Make the most of everything that Lake Erie has to offer by actually getting out there on the water! Best Coast Water Sports has everything you could possibly need and more for the best summer vacation of your life. From jet ski rentals to kayak rentals, you’re pretty much covered when it comes to water sports at Geneva-on-the-Lake. You can even rent some stand-up paddleboards and enjoy a slow-paced and physically challenging tour of the lake with your travel buddies. New to paddleboarding? No problem. Best Coast Water Sports offers stand-up paddleboard lessons to newbies who need a safe and relaxing environment to start learning. Think you’ve got what it takes to catch some of Lake Erie’s most prized fish? Set sail on one of the Burns Charter’s boats and try your hand at sports fishing, Ohio style. Burns Charters specializes in steelhead, smallmouth bass, walleye and yellow perch fishing that will definitely get you excited. With all the bait and tackle furnished for you, all you have to worry about is snagging your next great catch while enjoying the gorgeous surroundings that the western and central basins of Lake Erie have to offer. The charter has several kinds of boats to accommodate different party sizes, so don’t be afraid to give them a call and set up your own fishing adventure out on the lake. Offering exciting sports fishing tips at the central and western basin of Lake Erie, DB Sports Fishing is the largest charter boat service and boasts over 100 years of combined fishing experience. If you want a guarantee that you’ll catch fish on your expedition, the DB is the crew you want to head out with. Captained by John Gribble, the DB Sports Fishing Charters takes pride in helping you experience the best fishing that Lake Erie has to offer. Make it a family affair or enjoy some friendly competition amongst friends as DB Sports Fishing specializes in making the sports fishing experiences as customized as possible for the people they’re taking out to the open waters. Very little has changed about Eddie’s since it first opened in 1950, and believe us when we say that that’s a good thing. A regional institution, Eddie’s Grill is a summer tradition and has been for the many generations of children and adults alike that make their way to Geneva-on-the-Lake for their yearly vacations. With a jukebox at your table, an ice-cold lemonade within reach, and one of their famous foot-long hot dogs on your plate, there’s very little that could ruin your day. Don’t let that limit you though! Eddie’s menu is full of all-American classics like hamburgers, root beer straight from the barrel, and french fries. Arguably the best beer in the state, the GOTL Brewing Company boasts premium quality beer made from 100 pure and natural ingredients. Under the watching eye of Tim Allen, the GOTL Brewing Company creates fantastic craft beers, putting the utmost care and time into each barrel that comes out of their doors. Of course, the best way to enjoy a great pint of beer is with delicious food. At GOTL, Chef William Hawes takes charge of creating some of the most delectable gastropub eats that you will ever taste. If you’re looking for something new and original, this is definitely one of the best places to visit at Geneva-on-the-Lake. Resting on the southern shore of Lake Erie in northeastern Ohio, the Lakehouse Inn is a boutique resort that has so much more to offer than just being a summer destination. With special packages and events to look forward to throughout the year, the inn offers a choice of one of eight rooms in their stunning bed and breakfast or the use of one of four cottages on the premises. If you’re visiting during the autumn months of September and October, make sure to visit their full production winery to learn more about the wine making process and all the hard work that goes into just one bottle of this precious red liquid. What the Lakehouse Inn does best, however, is ultimate relaxation. Spend some time at their spa to let the madness of the hectic world melt away and indulge in some much-needed pampering. No trip to Geneva-on-the-Lake would be complete without a trip to Madsen Donuts. An institution in its own right, Madsen Donuts has been open since 1938 and has been relentlessly pursuing the perfect donut ever since then. More than just about a great donut, walking into Madsen’s is like coming home to family. To them, everything matters. From you getting your choice of donut to how your day has been going, they deliver a fantastic customer experience in addition to answering your sweet cravings. Of their many irresistible offerings, make sure to try the crème-filled long johns, the sugar and chocolate covered donuts, and the cinnamon sticks. Open all year round, the Old Firehouse Winery is a cute and quaint attraction in the heart of Geneva-on-the-Lake. As the village’s very first fire station, it houses an eclectic compendium of fire-related paraphernalia and fire house trinkets. Apart from its historical charm, the winery also carries a reputation for having some of the finest wine in northeast Ohio. Another huge attraction at the winery is their historical Erieview Park Ferris wheel. Made in 1956, the Ferris wheel is still open for rides during the summer time, allowing guests to indulge in a bit of nostalgia as they watch the sun set over the horizon of Lake Erie. Looking for the finest coffee that Lake Erie has to offer? 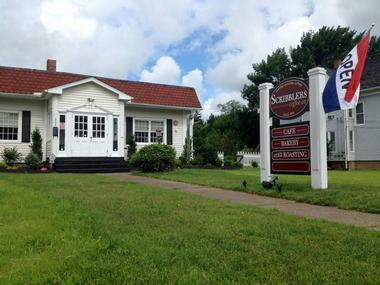 Head on over to Scribblers Coffee Company and enjoy a cup of their fresh artisan-roasted coffee. What makes Scribblers special is how selective they are with the beans they use and the manner in which they roast them. They source only from the top 2% of the world’s Arabica beans, roasting them in small batches, instead of using the mass-produced roasts that other places use, in order to coax out the best flavor that each individual bean has to offer. The result is one stellar cup of coffee that allows the beans to speak for themselves. Founded by the skilled and experienced Morgan Frantz, the North Coast Outpost is one of Geneva-on-the-Lake’s premier watersports rental companies. It is located on Breakwater Beach, on the western area of beautiful Geneva State Park, and guarantees quality rental and customer satisfaction for each guest. They specialize in stand-up paddleboard tours and rentals, but also provide BIC Magnum surfboard rentals, Pelican single kayak rentals, and Ocean Kayak Malibu Two tandem kayak rentals. 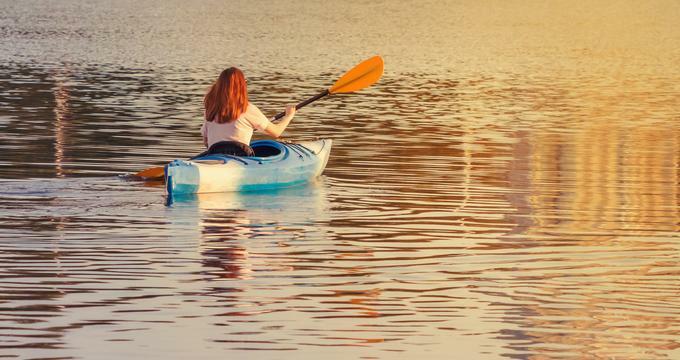 If you feel unsteady on stand-up paddleboards or just want to learn how to manage yourself on a board, they’ve even got lessons to get you fully equipped to explore the lake. A hopping family fun center that is open all year round, the Ashtabula Family Roller Den is the largest indoor roller skating rink in Ohio’s northeastern region and offers tons of indoor activities for kids and adults alike. 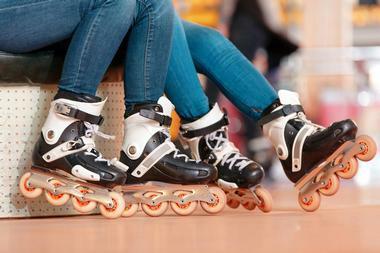 Roller skate around the rink to some awesome beats or test your daring at the den’s Extreme Skate Park. Younger kids will go bananas over the Crazy Maze Jungle, the fun soft play area and the inflatable bounce house, too. As if that wasn’t enough, the den is also equipped with air hockey and a pool table for the older kids to enjoy. Make a party out of your visit and grab some fresh homemade pizza, hotdogs, corn dogs, and more to keep yourself energized.